Une vue du tableau de bord de la Chevrolet Custom Sedan 1937, la photo a été prise lors de l'exposition de vieilles voitures à la ferme Fritz à Baie D'Urfé. 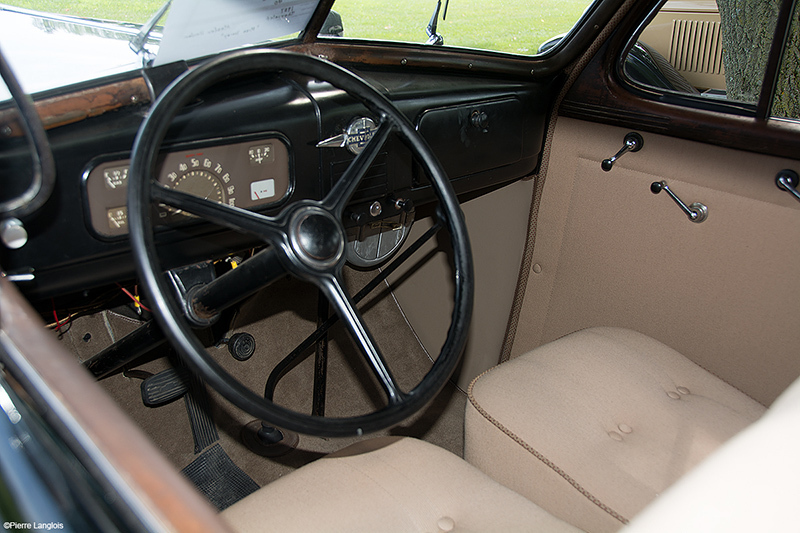 A view of the dashboard of the 1937 Chevrolet Custom Sedan, the photo was taken during the old cars show at the Fritz farm in Baie D'Urfe. Exif Data: Make: NIKON CORPORATION Model: NIKON D7100 Software: Adobe Photoshop CS6 (Windows) Exposure Time: 1/125 F-Stop: f/3.8 ISO Speed Ratings: 100 Focal Length: 18 mm Date Taken: 2018-08-05 10:16 Metering Mode: Center Weighted Average Flash: Flash did not fire, compulsory flash mode File Size: 273.6 kb. Çà me plait toujoues tes belles captures de vieux autos comme cette Chevrolet.